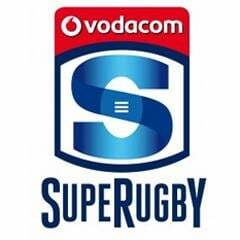 Cape Town - The Blues ended their winless streak in this year's Super Rugby competition, beating the Brumbies in a bruising encounter at Eden Park in Auckland on Friday. The Blues won 16-14 after leading 13-0 at half-time. Blues flyhalf Dan Bowden scored a try and landed a conversion and two penalties, while replacement No 10 Ihaia West landed the all-important winning penalty in the 77th minute. 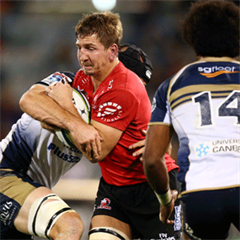 In reply, the Brumbies scored a try through replacement back Lausii Taliauli, while centre Christian Lealiifano was on target with three penalties. The men from Canberra had a chance to win the game in the dying moments, but scrumhalf Nic White's long-range penalty attempt sailed left of the uprights. The Blues picked up four points for their victory, but stayed last in the New Zealand Conference. They did however move up to 13th in the Overall standings. The Brumbies picked up a single point for losing by seven or fewer points, and extended their lead atop the Australian Conference. They stayed second in the Overall log. In next weekend's Round 10 action, the Blues travel to Dunedin to face the highlanders (Saturday, April 18 at 09:35), while the Brumbies welcome the Rebels to Canberra (Saturday, April 18 at 11:40).